Some of my corns don't eat right after a shed. I find them sitting in their water bowls, so leave them alone for a couple days. Sometimes I don't even offer them food until the next scheduled feeding day for all the corns. My vet once told me it's a good idea to skip a feeding, as it really triggers the hunting/feeding response in most snakes. How long could he be love struck? As stated above, he's a little young, but my males will never eat in the spring. They're just up, down, in and out all day and all night because it's breeding season. Usually about 6-8 weeks before they will eat. Just thaw one less mouse and if he won't eat it, give it to the other snake instead. 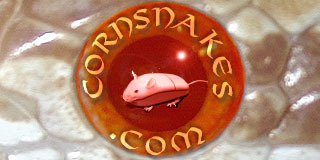 It takes FOREVER for a corn snake to starve so please don't worry. You're welcome. Is he very active lately too?